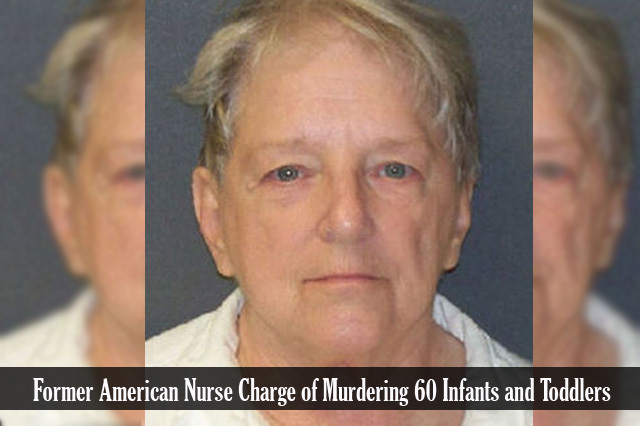 60 or more infants and toddlers were assumed to be killed by a former American licensed vocational nurse named Genene Jones. On June 21 this year, Jones was charged of killing a 2-year old girl named Rosemary Vega way back September 16, 1981. Another death of an 11-month boy Joshua Sawyer was being linked to Jones as well. According to ABC News, the district attorney’s office showed evidences that the nurse had injected Sawyer with fatal level of Dilantin. As per Texas Monthly, the deaths started when Jones began to work in Bexar County Hospital in San Antonio, Texas and moved to Kerville Clinic. The fatality rate of infants and toddlers were glaringly high during Jones’ 3 to 11 evening shifts in the said hospital that it called her co-nurse’s attention, Suzanna Maldonado. Maldonado was the one who stepped up and reported these mysterious deaths in the Pediatric ICU. However long before the reports were sorted and finished, Jones was already gone from the hospital hence unable pushed through with the investigation. Along with her absence in Bexar County Hospital, the mysterious deaths in the Pediatric ICU also ended. Just a few months after Jones left San Antonio, she found another job in Kerrville Clinic under Dr. Kathleen Holland. For only 31 days since her new employment, seven of Jones’ patients went to different emergencies including a 15-month old girl named Chelsea Ann McClellan. The prosecutor for Kerr county believes that Jones was injecting the seven patients with Anectine, a powerful muscle relaxant with the generic name of succinylcholine chloride which leaves humans conscious but unable to breathe. Jones’ shift hours were even tagged as the Death Shift by her colleagues, way back then. And although Genene Jones has the benefit of a 1977 mandatory release parole law, she was sent again to Bexar county for another trial for a separate charge before her scheduled release.